View a short film to introduce our finalists. 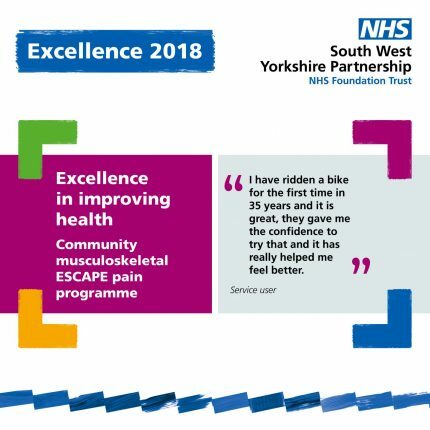 The ESCAPE pain programme runs for 12 sessions over 6 weeks with the same cohort of up to 12 patients. Each session is interactive, uses motivational interviewing and includes 20 minutes of education and 40 minutes of exercise. It addresses patients’ unhelpful health beliefs and fears, improves knowledge of osteoarthritis and factors impacting on it. 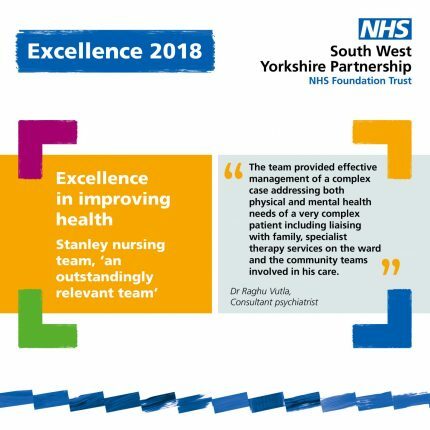 It looks at the wider health benefits of exercise, healthy diet, pain management, drug management and helps patients set long term goals in an environment that promotes peer support and motivates engagement. Following the first cohort, the programme quickly filled up enabling the team to set up a second venue to manage demand and improve access. 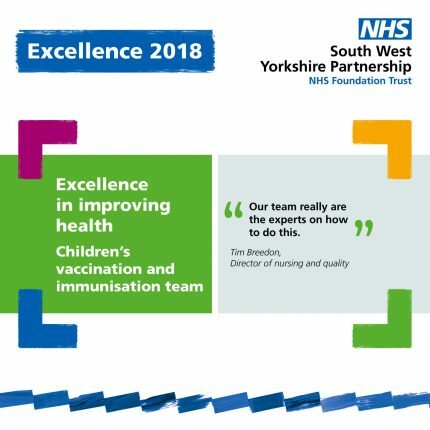 The children’s immunisation team are a school based provider of vaccinations to the children and young people of Barnsley. They provide both the flu programme to primary aged children and those children attending a special school and the adolescent programme to young people in high schools. They also provide a drop in service at local clinics as well as home visits. The team work closely with child health records and in partnership with school staff and the local authority public health service. In the two years that the team have been established as a standalone service, they have worked hard to reduce inequalities in immunisation uptake in under 19s. In December 2017 a service user was admitted with complex physical and mental health needs. The situation required skills outside of normal routine care and involved the wider team of therapists, dietitians and doctors, who all needed special equipment. The service user had no capacity at that time and needed intense nursing care for both his physical and mental health. At all at times he was treated with sensitivity and the team could not have given the service user better care. Because of the quality of his care, despite complications and concerns, the team were able to prevent the service user needing to have a limb amputation.